Are you looking for counseling to fix your relationship, and trying to find the best type of therapy that will really work? Our couples counseling services can help you fix your relationship in a safe, no blame, no shame environment. Our counseling services help couples in crisis before it’s too late. Any of these options are for you if you are willing to commit to doing whatever it takes to get your marriage to where it could be. You can be successful, even if you’ve tried counseling before. You will be able to enjoy a safer structure for absorbing the skills that you need. These skills will allow you to enjoy a marriage and family relationship that sustains and supports you. To get a more detailed description, click on the “Learn More” button at the end of each product description. Q: What are Marriage Therapy retreats? 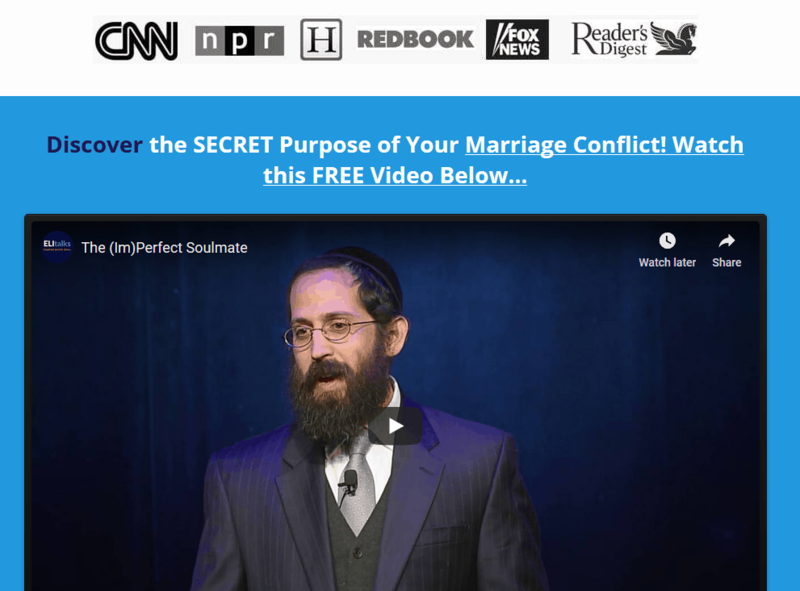 A: Marriage therapy retreats are 2 days of intensive marriage counseling that we (Rabbi Slatkin) spend working one-on-one with you and your spouse. Q: Where do they take place? A: They take place at a private location in Baltimore or on Skype. Q: How long are the days? A: Each day consists of 6 hours of therapy, with an hour lunch break. 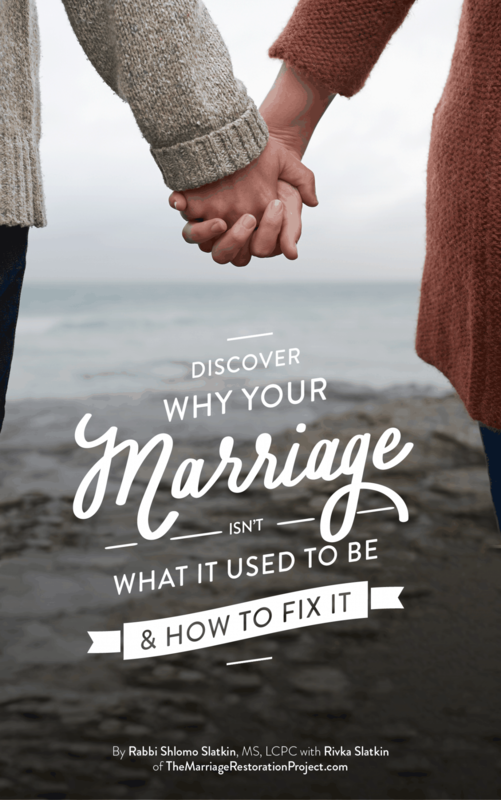 Q: Have the marriage therapy retreats been successful for marriage problems such as infidelity, loss of love, family problems, anger, marriage counseling that hasn’t worked before? A: Yes. We’ve seen even the worst of marriages begin to heal after the 2 days of working together intensely. Q: Do we need to be familiar with The Marriage Restoration Project Program? A: No. Just come with an open mind. At this marriage intensive retreat we provide all the materials that will be most helpful to you and your spouse. 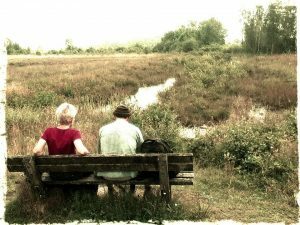 Q: When are the marriage counseling retreats scheduled? A: Because our retreats are private, and do not include other couples, we schedule the therapy on 2 consecutive days that are convenient for you. Q: Where can we stay in Baltimore? A: We work with 2 of the best bed and breakfasts in the area and they offer a reduced rate for our couples coming into Baltimore special for our Marriage Therapy retreat. The Getting the Love you Want Weekend Marriage workshop saves marriages. Tens of thousands of couples worldwide have attended the Imago Weekend Marriage Workshops for couples. It is called “Getting the Love You Want” because it is closely based on the best seller of the same name by Harville Hendrix, Phd, who personally developed this workshop over a 16 year period. The workshop is a journey, and at the end you will leave with insights into how you can create a deeply satisfying and long-lasting relationship with your partner, as well as having learned skills that can help you to achieve that. Through exercises that you will share with your partner, you will explore some of your emotional history, and learn how that influences both the reason you chose your partner, and also the reason that you may both be drawn either now or later into a power-struggle. 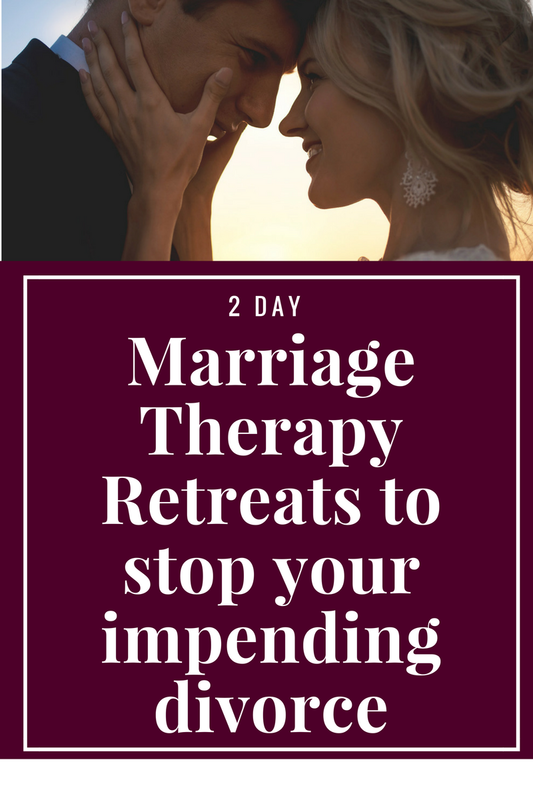 In Imago therapy, we say that the Imago Workshop is likened to 6 months of marriage counseling due to the deepening work that is done over the weekend. It is the quickest jumpstart to your marriage, especially if your relationship has been in a negative place. Imago views the power-struggles that occur in relationships as a natural part of love, and also a great opportunity to deepen your love and make the relationship more satisfying. Within your disagreements with your partner lie important clues about how you can learn to transform your love into something even richer, as long as you can discuss these issues in a way which feels comfortable and positive. That’s why during the workshop we teach you how to use the Imago Dialogue. 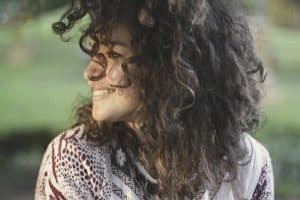 This is a powerful approach to exploring deep emotional issues and restoring lost connection. We will ask for volunteer couples that can be coached in front of the class through demonstrations, and then give you plenty of time to practice and apply the dialogue to the insights you develop throughout the workshop. There’s always help close by if you get stuck! Sometimes we hear from couples who are concerned about revealing personal information to others. That’s why we set the workshop up so that if you wish you can do all your personal work privately with your partner, and just share with the group if you wish. We’ve also learned over the years that one of the most inspiring elements of the workshop is to see other couples going through the Imago processes during the demonstration, and to hear their stories. By the end of the workshop, most couples leave feeling far more positive about their relationship, and the workshop closes with finding ways to make sure your life is full of caring and romance. How does therapy via Skype work? Online marriage therapy via skype requires nothing more than high speed internet and a webcam, which makes it easily accessible to many couples. Skype sessions are available to couples located anywhere in the United States or around the world. As with any marriage therapist, all sessions with us are completely confidential regardless of whether they take place in person, over the phone, or if you opt for online marriage counseling. Skype adds an extra layer of privacy, making it ideal for those who are particularly concerned over confidentiality. Many therapists rely on back-to-back appointment scheduling, which is less than ideal as clients may see other as they enter or exit the building. Online marriage counseling avoids this issue entirely, ensuring complete privacy regardless of how precisely the schedules are booked. For those that are not from Baltimore, there is an additional layer of comfort that comes from knowing that they will not run into their therapist around town as they run shop, dine, or run errands. One of our favorite benefits of online marriage counseling through Skype is that the calm you experience during your session begins to permeate your home and benefits others that enter your home. That sense of calm will help your children and will stay with you long after your session. We all need calm in our busy, hectic lives. We have found that there is much that you can do in order to finally attract your perfect match and to stop experiencing dating games that don’t get you any closer towards a committed relationship. The Attract your Perfect Match Program runs month by month for as long as you need it. Email us at info AT themarriagerestorationproject.com if you would like to find out more about if the Attract Your Perfect Match program is right for you. Not sure which marriage counseling service is right for you? You can schedule a conversation with us by emailing us to set up a time and date for your “clarity session”. Please put “clarity session” in the email subject line so that we can steer you towards the resources that will best meet the needs of your unique situation, or complete the form below.